Yesterday, I wrote about the Chris Brogan speech I heard at the Social Media Camp in Victoria. There was so much information crammed into an hour, I had to make two posts about it. This one focuses on Chris’s latest passion, email marketing. I’ve learned a lot about this lately, so Chris is certainly not having an epiphany, but what he does do well, is put things into simple, common sense terms. Essentially, we have been led to believe that social networks are the best way to share information and reach our customers. Think again. Email is still much more targeted. When you forward email from your inbox, you forward it to people that matter to you, to people that you think will benefit from the information. In Facebook, or Google+, who sees your post is totally random. Email should come from a real address, not a ‘do not reply’ address. When you create an email, write it like you are writing to “one person”. Reach out and connect. Act like a person, and not a company. Echo – people need to hear a bit about their own story and they’ll relate. Brevity – don’t ramble, and put the most important part at the top. People’s time is precious, so make your email stand out, and make it count. subject line as they browse through their inbox. This repetition, keeps your brand in your audiences presence. Just don’t spam people. trying to make it easier for you to get a hold of them, sort of a customer service mentality. But this is what really happens. an anchor that drags your message into oblivion. People get lost, forget what they read, and move on. It’s a well known fact that if you give people two choices, they have difficulty making a decision. When you end your email, have just one call to action, or just ask a question. Just one thing. Keep it simple and inviting. social badges on your website. These posts are really just snippets of what Chris spoke about, but I can only take so many notes ;). I’d like to thank Chris Brogan for continuing to serve the blogging and internet community. His commitment to helping others in their online quests is admirable, and so very much appreciated. I look forward to checking out his new book scheduled to come out in October. You can reserve The Impact Equation on Amazon . 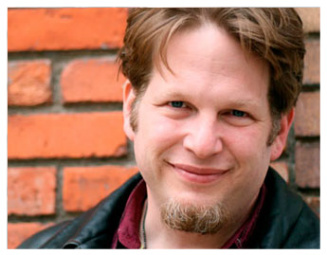 Read Part I of this Chris Brogan Story.